Receive this DiMarca Online Exclusive pattern for FREE- no purchase necessary! 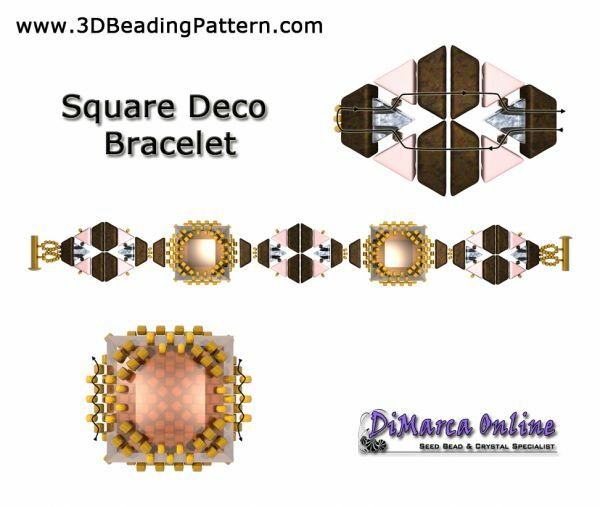 This beading pattern provides step by step 3D images and text to create the Square Deco Bracelet. It includes a list of needed materials and colour codes. You will receive an e-mail with a download link to download the 9 pages PDF file. The beads or finished product are not included, this is the digital pattern to make your own Square Deco Bracelet. © All rights are reserved by DiMarca Online. Please do not copy the instructions, or use them for commercial purposes. Feel free to sell the finished product.